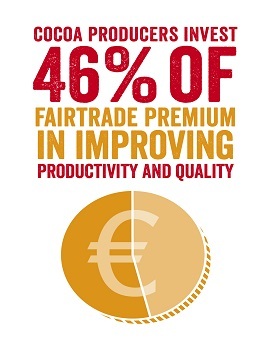 What is the ‘Fair Trade Premium’? The Fair Trade premium is an extra sum of money paid on top of the minimum Fair Trade price. The money from the premium goes into communal funds which are for the workers and farmers. Together they may spend these funds in order to help improve and develop their environmental, social and economic circumstances. Looking at the Fair Trade facts surrounding this text we can see where some of the premium goes. Workers spent 24% on education; education is important whether it’s for the workers themselves, children or the whole community, it’s vital to improve communities and the people who reside in them. Small scale producer organisations spent nearly half of their premium on making their organisations stronger. Making it stronger will, for example, help ensure workers are paid and so good quality products are produced. 46% of cocoa producers did this, using the premium to improve their production, ensuring workers are treated fairly and the products are as high a quality as they can make them. Obviously at this point we know because of the Fair Trade premium that Fair Trade products aren’t the cheapest on the market, and of course for most people the price of an item does play a big factor in whether you buy it or not. But we must remember that these products are probably very cheap for a reason, either poor working conditions, cheap ingredients or both. Then again some products which are priced highly will also include cheap ingredients and/or poor working conditions. So why not just buy Fair Trade products to begin with, yes they’re a bit more expensive than the cheaper option but you know what you’re getting, a product made in good working conditions, with better ingredients. That extra money you’re paying is also helping the people who helped create your lovely product, what’s not to like! 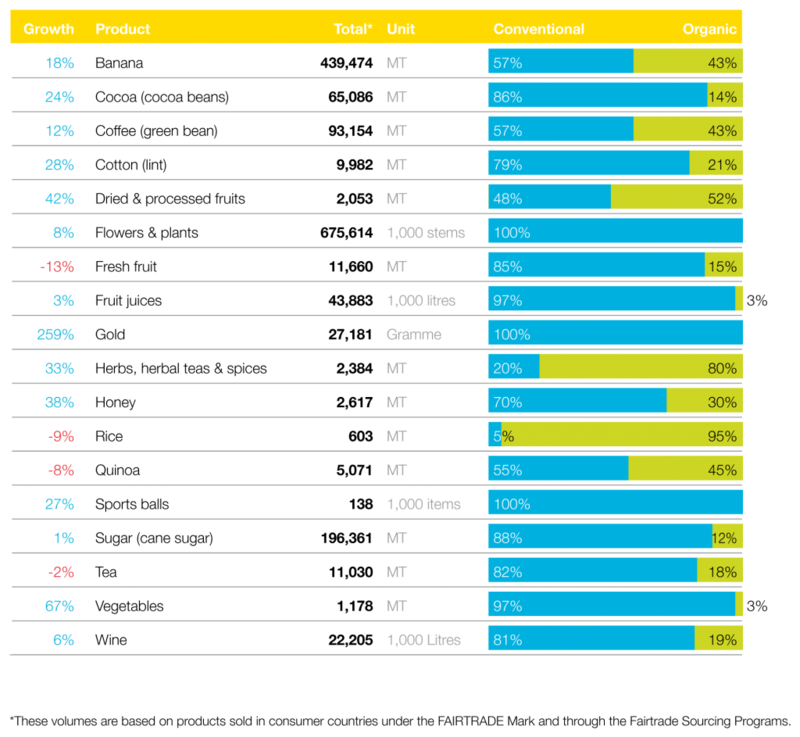 The table above shows the amount of Fair Trade products on estimate sold in consumer countries in 2014. It also shows the growth in sales. Overall, most of the products listed have grown in sales, Fair Trade gold in particular which has grown by a massive 295%. More people are opting for and accepting Fair Trade products. 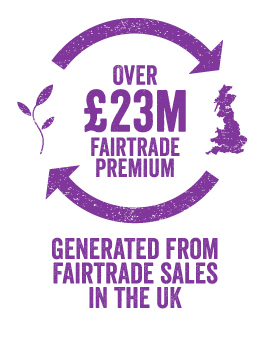 In the UK alone £23 million of Fair Trade premium has been generated from Fair Trade sales. That’s £23 million that will go towards helping workers, farmers, their families and their communities. We’re not surprised as there are some great Fair Trade products out there, for example Equal Exchange was rated the best honey, tea and ground coffee by Ethical Consumer. Ethical Consumer also rated Cafedirect’s decaf instant coffee the best instant coffee, followed by their normal instant coffee. While in clothing People Tree organic cotton clothing was rated the best clothing. Fair Trade items really are the best in many areas. So is the Fair Trade premium worth it? After all we’ve discussed, the Fair Trade premium is worth it! You’re paying a little bit of extra money for a great product and helping the people who worked hard to create it. Think about picking up a Fair Trade product next time you’re shopping, give it a try.